My second-grade student Alisha drew the best gorilla ever. I put a red oval around the creature labelled as "gorilla" in her picture. 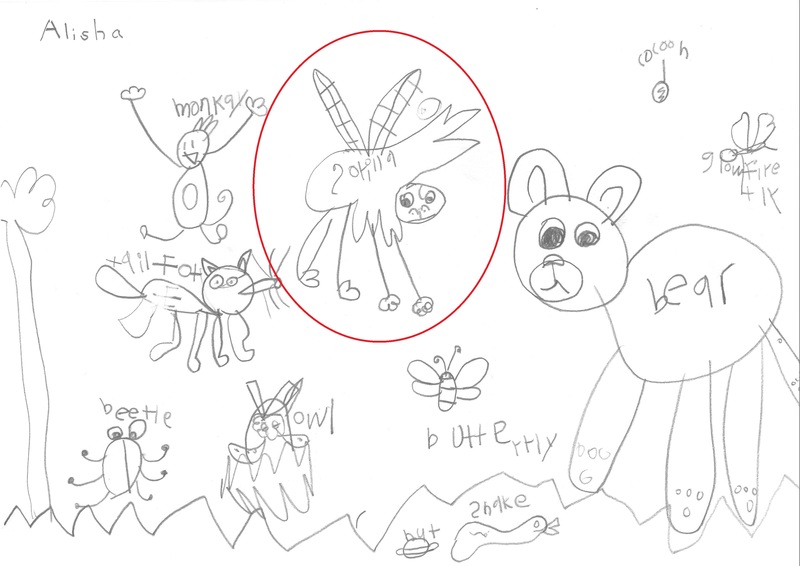 She explained that it was a pari-gorilla ("pari" [파리] is Korean for "fly," as in "housefly") .